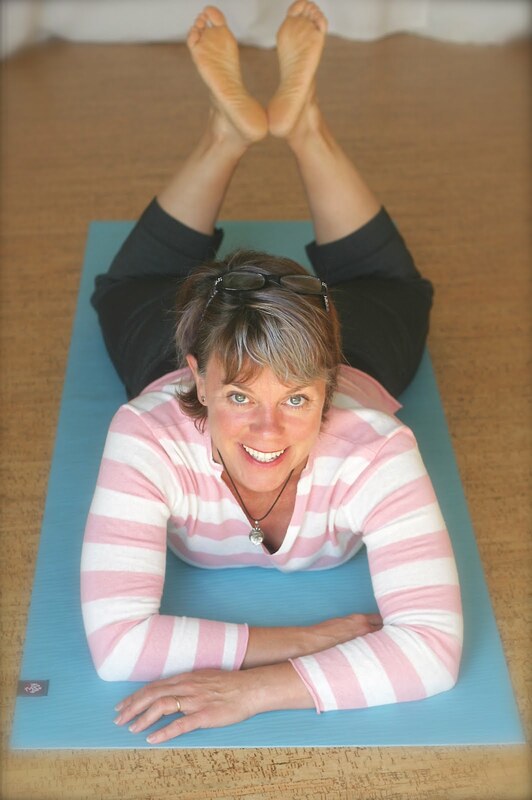 At my Hanna Somatic Education training I was the only personal trainer in the group of 18. Many were massage therapists and yoga instructors. One of them jokingly asked me why I was there, since personal training (or any typical workout sans trainer) can unintentionally contribute to people's dysfunctional movement patterns. If someone is out of alignment, workouts can literally strengthen faulty patterns. 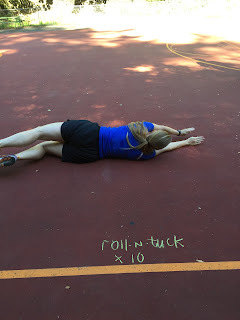 So I thought I'd share some of my somatic awareness moves we do in my Take It Outside Fitness classes. This is dedicated to my fellow HSE students and teachers, so it might not make total sense to you if you don't have any previous somatic education experience. You should come to class or let's Skype! (I'm TrainerCrafterKristin). 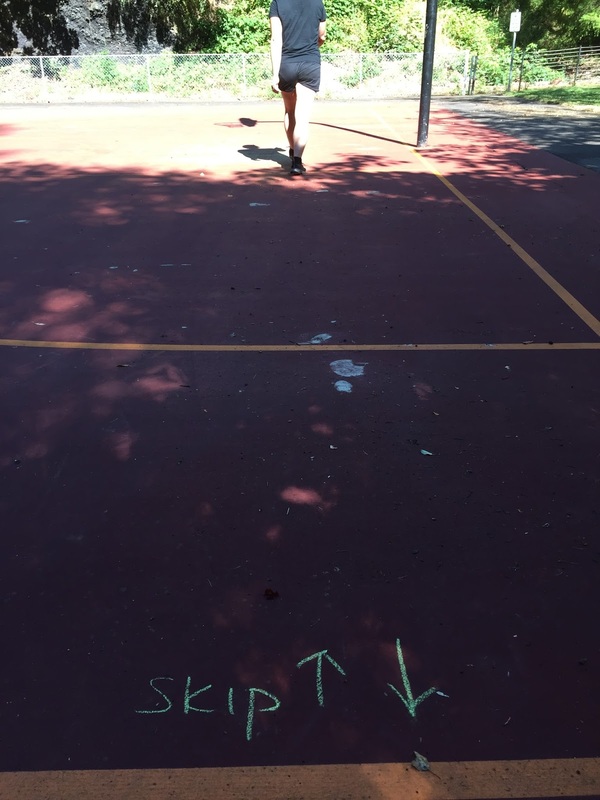 skipping forward and backward | Swing opposite arm up to the lifted knee. Sense the waist shorten on the lifted knee side. 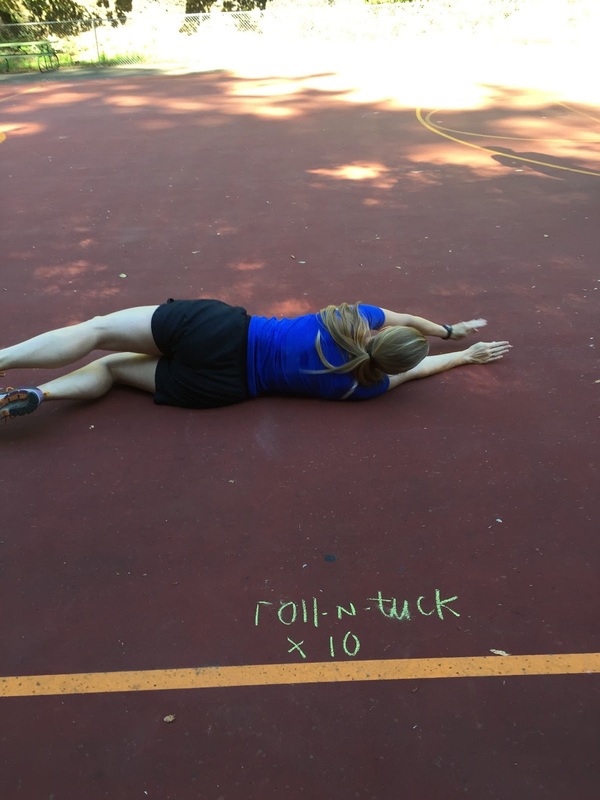 roll -n- tuck | Lie supine (on your back), and without touching the ground with hands or feet, completely over, then slowly tuck drawing knees up and back down and repeat other direction. side hop overs | Travel sideways lifting knees as if you were hopping over parallel logs on the ground. Travel back with the other leg leading. 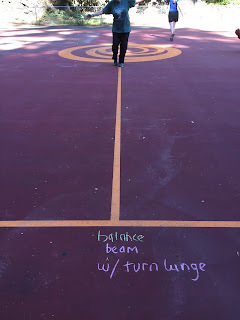 balance beam with lunges + turn around | Walk the length of a "balance beam". (Use a line on a court, or a curb if you want more challenge.) At the end of the beam, lunge, stay in the lunge and pivot your entire body and legs to turn the other direction. 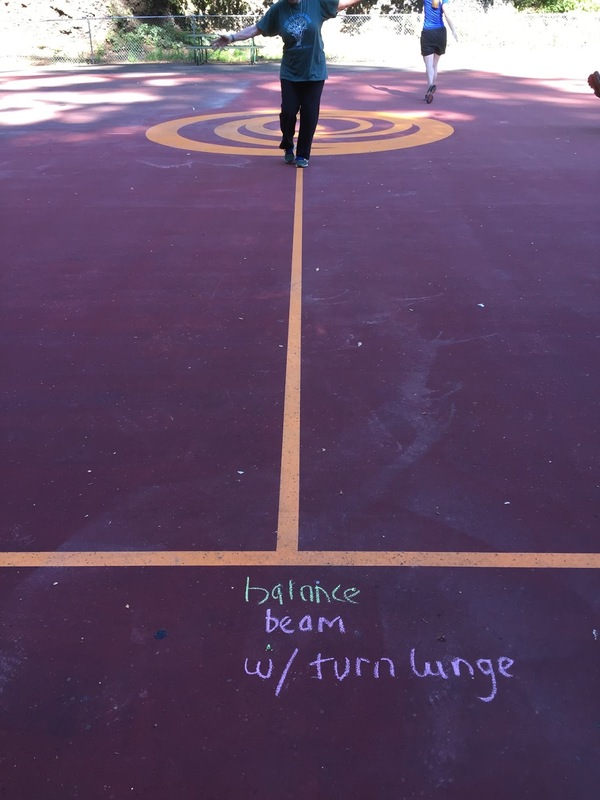 Walk the beam and repeat back and forth. Alternate your lunges. 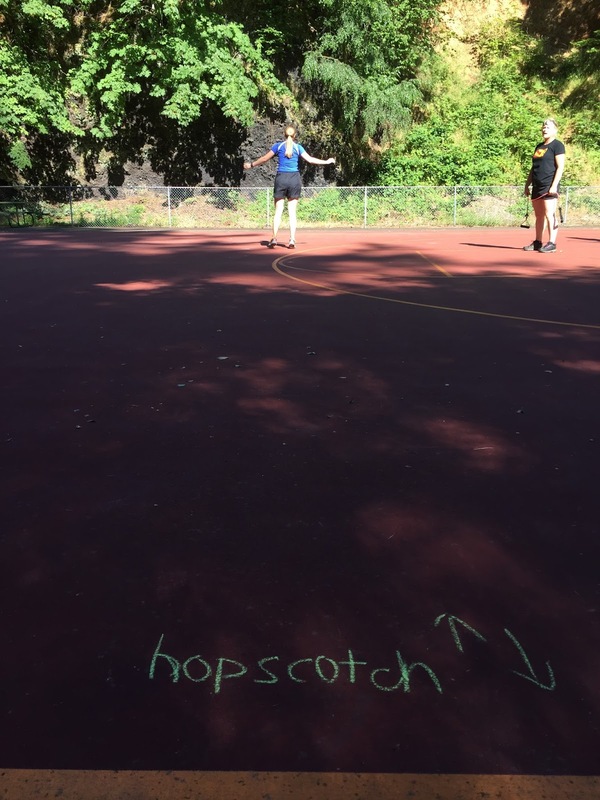 hopscotch | Make sure you can hop onto your less dominate leg on the single leg hops. Try the pattern going backwards. 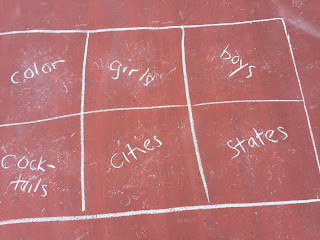 in-in-out | I have no idea what this game is called, but as kids we called it in-in-out and played it all freaking day! It makes both sides of your brain work simultaneously! 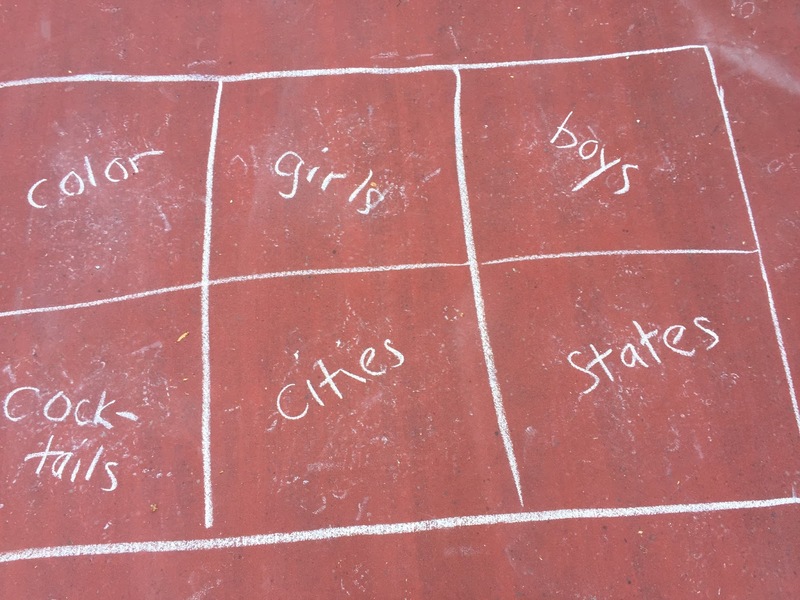 You can make your own topics, but let's go with the one labeled colors. Double hop on the colors square saying a color 2 times, then double hop to the next square saying another color, and go through all the squares repeating the hopping and saying a new color, and exit out the color square. You'll say 7 different colors. People look at me like I'm crazy and think "how hard could it be?". Try it. You'll be surprised at how challenging it can be. You can change the hopping patterns (single leg, single hop, etc) to increase the brain challenge. spiderman crawl | Sometimes called bear crawl. This move challenges the body to move contra-laterally (opposite arm to leg). Travel forward moving left hand and right foot forward, then switch. Try to keep back neutral and parallel to the ground. lunges with bow-n-arrow | Using an exercise band without any slack between hands, lunge forward with the right foot, anchoring one of the band out in front of you with your left hand pull the other end of the band retracting the scapula. Sense the cross lateral pattern from your left scapula to your right hip. Alternate traveling forward. runway walk | slow down a walking pattern, and exaggerate the contralateral swing of the arms and leg. Bring awareness to the back line of the body. Sense the diagonal muscle contraction from one shoulder blade to the opposite hip. Enjoy! and please feel free to share some of your favorite outdoor--or indoor-- somatic awareness exercises.